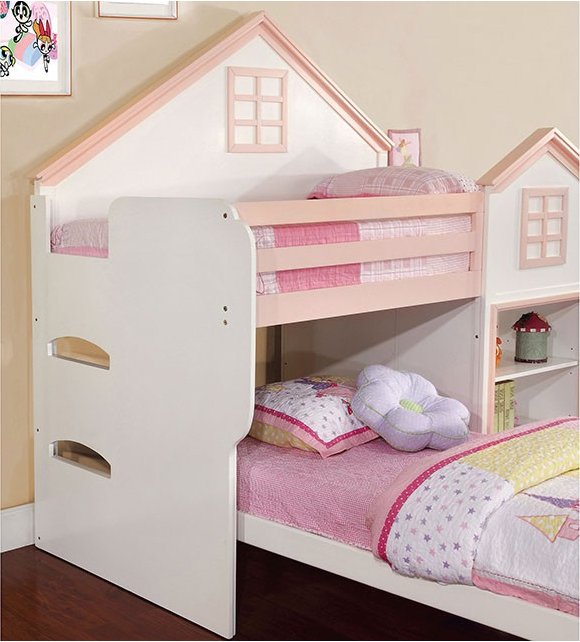 Make bedtime fun with the Citadel twin over twin loft bed! 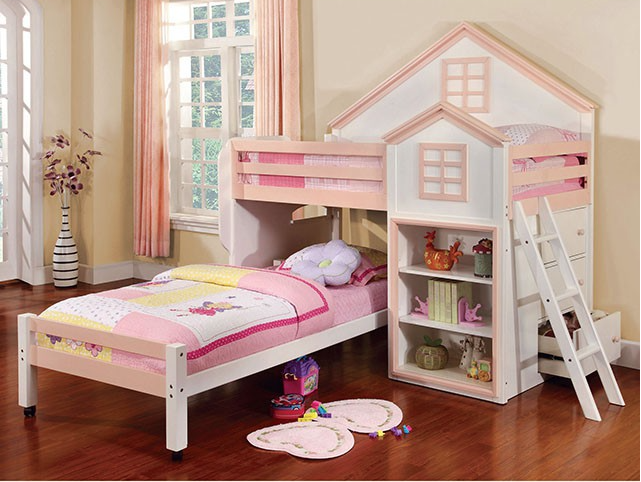 This urban inspired twin/twin loft setup features a movable ladder to access the top bunk, while the bottom loft lies perpendicular to the top. 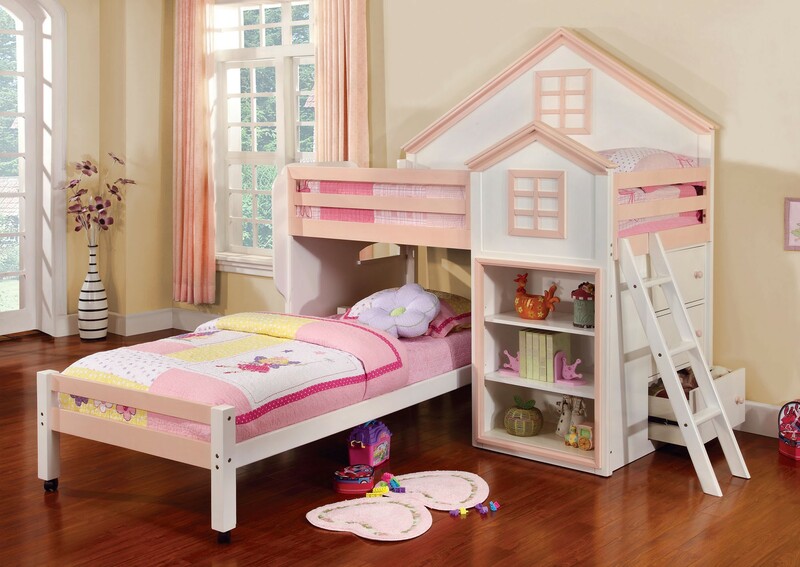 The bottom bed also sits on casters and can be pulled out to create additional play space below! 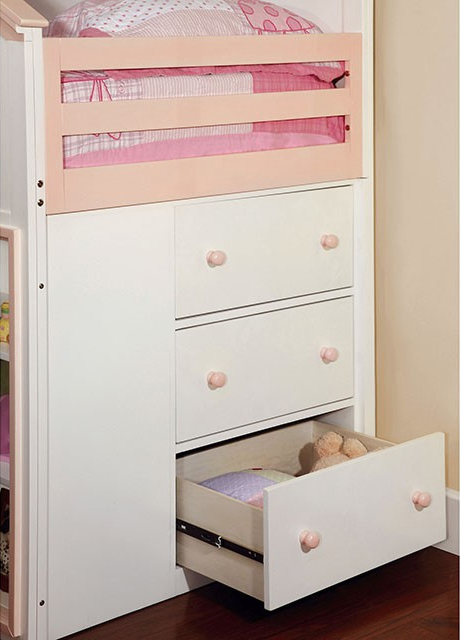 Plenty of storage space is included shelving and a built in 3 drawer chest.